Running is one of Americans’ favorite forms of exercise. The reasons for its popularity are simple — it can be done almost anywhere, takes no special equipment, and burns lots of calories. Running also offers a great many health benefits such as weight control, decreased blood pressure and cholesterol, and relief from stress. The New York Times featured a study by Harvard scientists who presented an alarming statistic that two-thirds of runners will be injured in some way. 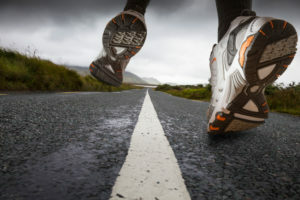 Tendonitis, shin splints, ankle sprains, hip pain, and knee strains are a few of the many injuries brought on or exacerbated by a regular running routine. Dr. Nicholas Damato and Dr. Bobby Abate can work with runners who have injured themselves from the repetitive motion of running regularly. By using chiropractic adjustments, chiropractors can promote healing in the body as a whole. Runners love this because they want to get back to hoofing it as quickly as possible. If you are a runner and would like to talk further about the benefits chiropractic care offers you, contact Damato Chiropractic Center of Glastonbury today for a consultation.